Any employer or HR staff knows the value of employing standard rules and processes in granting leaves to their employees. Failure to do so may result to the employees’ abuse of the option to go on leave. 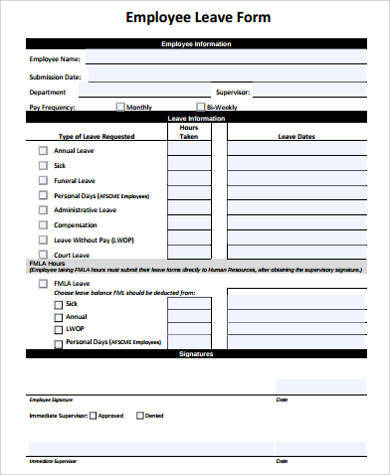 It is for this reason that an employer must mandate the employees to subscribe to a standard leave request procedure through the filing of a leave request form. 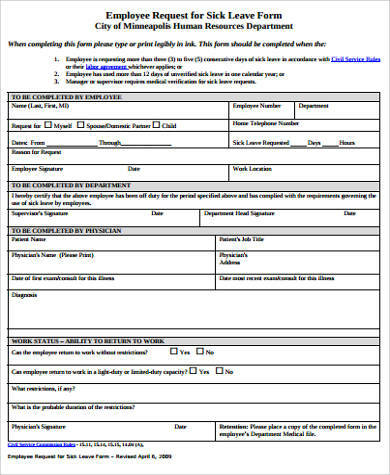 For your convenience, we are providing you with easily editable leave Sample Forms. These are available in Word and PDF format making it all the more easier for you to tweak it accordingly. Feel free to scroll down below and download the form that suits your needs. 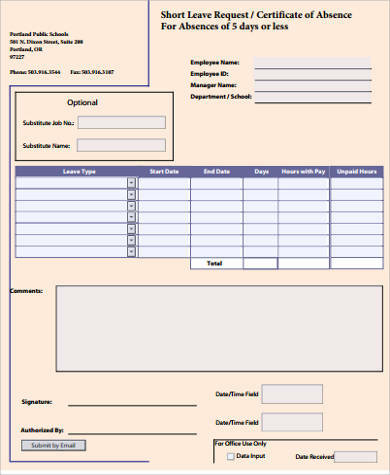 A leave form or a request for leave of absence form is a type of document that must be filled out by an employee who plans on going on a leave from work (be it paid or unpaid). 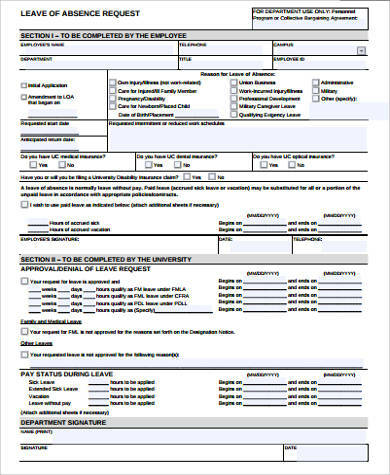 The human resource department is in charge of keeping leave forms in their office so that employees can readily file their request when they want to go on leave. signature and name of HR staff examining the leave request. Need any help in your HR tasks? 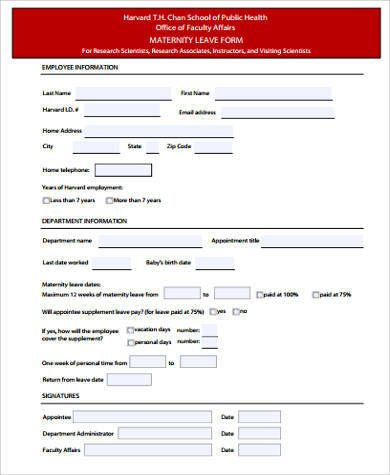 Here are some useful Employee Discipline Forms and Employee Review Forms for your other HR and management-related functions. Simply click on the link provided. Casual Leave – This leave is only for a short duration (3 days maximum). Prior permission is necessary for this leave, except in circumstances when obtaining the employer’s prior permission is not possible (unforeseen sickness, family emergencies, etc.). However, the employer must still be informed of this leave as early as possible. Privilege Leave – Normally, all companies offer paid leaves to their employees and it is usually ten to fifteen days. This leave can be converted to cash by the employee if he/she does not consume it by the end of the year. 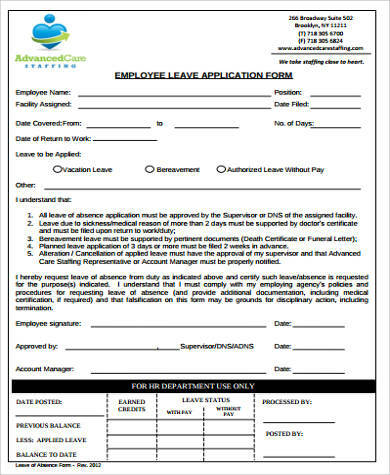 Medical Leave – This leave can only be availed by regular employees. As a requirement of this leave, an employee must produce a valid medical certificate within 72 hours after taking leave of absence from work. Maternity Leave – This is available for women who just delivered a baby for a period of up to 2 months. Women who carried out abortions or miscarriages can also avail of this leave, albeit at a shorter period of 6 weeks. 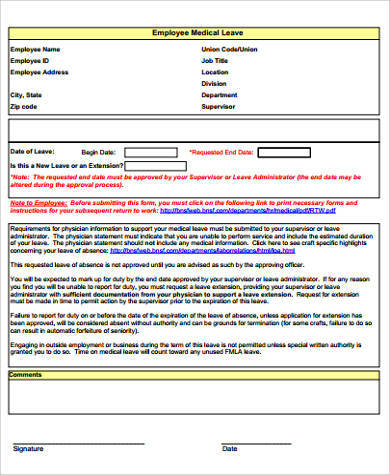 Set clear expectations during orientation regarding the rules about leave and leave request forms. 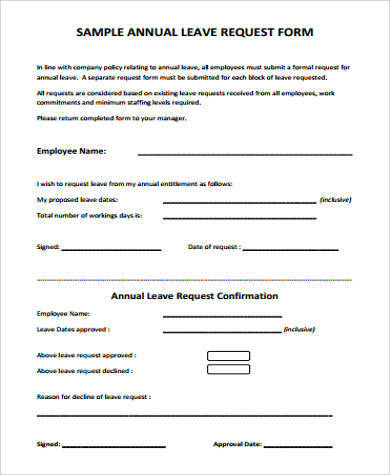 Make sure your employees have a copy of the leave rules. Remind your staff of expectations regularly. 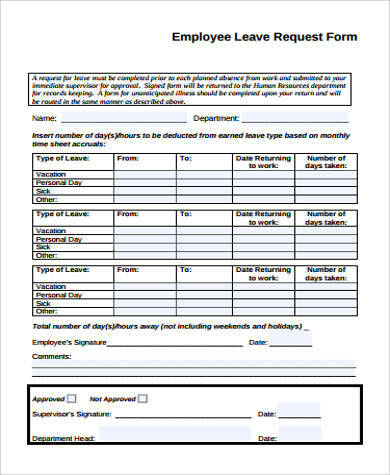 Aside from leave forms, we also have Employee Application Forms that you may find useful for future reference.